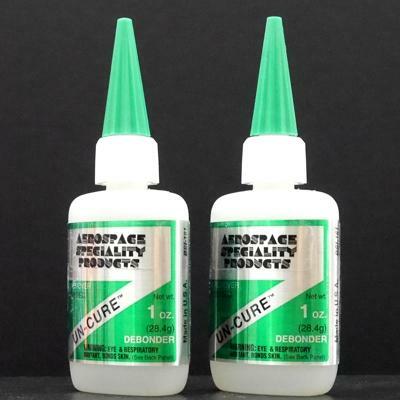 Dissolves all Cyanoacrylate Glues. Debonder will soften cured CA. If parts are bonded incorrectly or your fingers are stuck together, a few drops will dissolve the CA in about a minute. Apply on bonded skin and roll apart fingers. Once unstuck, use acetone to clean off the softened CA then wash off with soap and water.